How did super-sensible Iridessa get into such a fix? First, Tink’s crazy idea to pinch a pirate bottle from Captain Hook goes horribly wrong. Then, in the flutter of a fairy’s wing, Iridessa and Tink end up trapped inside the bottle, floating forlornly on the ocean waves! But as they bob along, the bottle crosses paths with all sorts of unusual sea life, from green turtles to flying fish and beautiful (but selfish) mermaids. 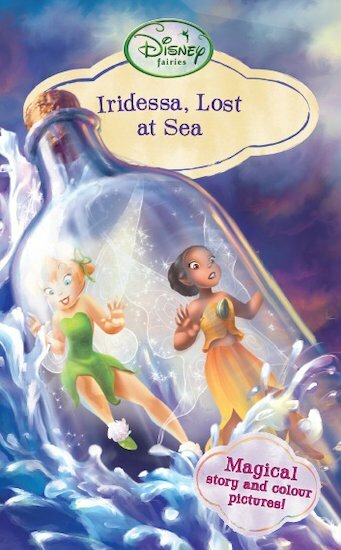 Gradually, Iridessa learns something new: a little adventure isn’t such a bad thing! Follow Iridessa on her magical journey in this gorgeous chapter book, with beautiful colour pictures all the way through.